Cold fronts are in the forecast, so start your morning with something warm! 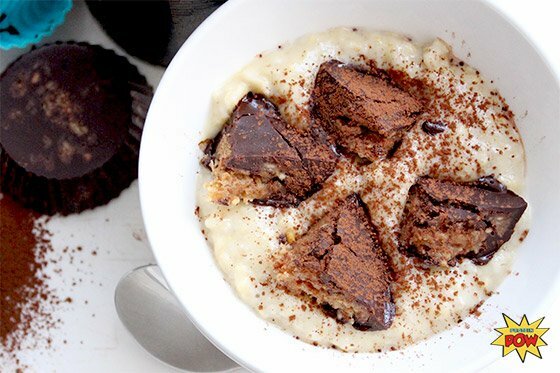 Take that bowl of oats to the next level with these four recipes. You've probably heard about the importance of eating your morning bowl of oatmeal. In addition to helping lower the harmful form of cholesterol, the fiber helps with weight loss, and the carbs give you an energy boost while keeping hunger at bay. Yet aside from the health-boosting benefits, a warm bowl of freshly cooked oats can be a delicious and comforting start to your day. 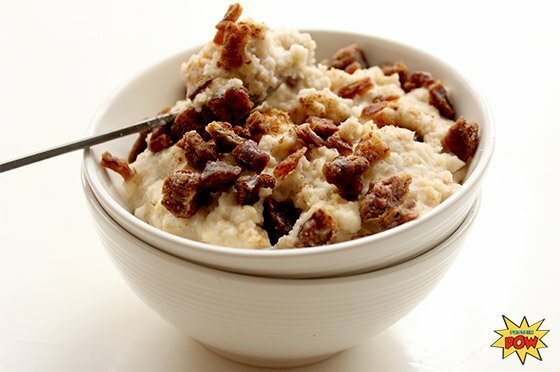 Oatmeal is also relatively neutral in taste, making it a great base on which to play around with toppings and flavors. I personally enjoyed creating—and then eating—every one of these recipes! I don't know which of these concoctions delivers the most intense punch of "nommage," but they were all delicious. I loved the decadent, cheat-meal feel of the protein with chopped-up peanut butter cups; the creaminess and tang of the orange and vanilla oats; the earthy, satisfying taste of the date, almond, and maple mix; and the flavor punch of the chili-chocolate mixture. I'm torn to pick a favorite, but I bet you'll have one. Test out these recipes and see which one most tickles your fancy. Once you spot your fave, you'll end up making it over and over again. Enjoy these pre-workout, post-workout, or as a weekly protein treat. Give them all a spin and report back! Take the classic combination of vanilla sweetness and citrus tartness to a new level with this fruit-inspired concoction. Don't let your taste buds be confined by the time of day either. A bowl of this delicious blend can be enjoyed for dessert or as a pre- or post-workout meal. 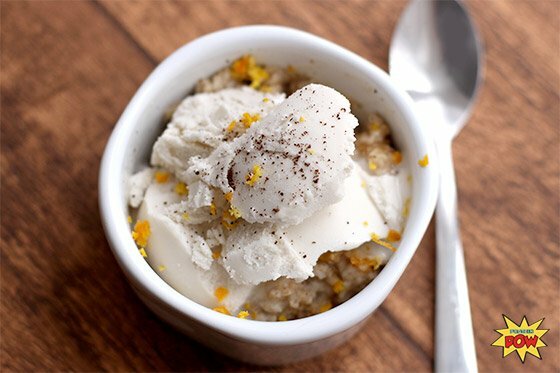 The orange zest complements the vanilla beautifully, and a vanilla version of this protein ice cream adds creaminess. Sprinkle on some cinnamon for extra decadence. When you're short on time but still want a nutritious breakfast, reach for this recipe. This bowl of oatmeal is the perfect substitute for a hot stack of protein pancakes. It's also perfect when you wake up on a cold morning and want something warm to kick off the day. If this isn't the definition of protein wizardry, I don't know what is. Just watching the way the peanut butter cup melts against the hot oatmeal is enough to drive me absolutely crazy with desire! 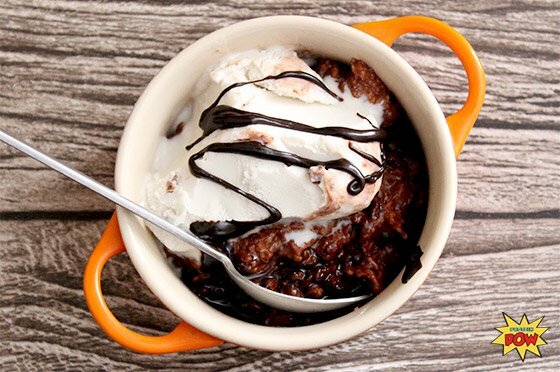 I dare you to make this and not fall head over heels in love—or rather, lust. Don't forget to check out my recipe for making your own healthy, protein-packed take on a Reese's! Have you ever ordered an ice-cream-topped hot cookie at a restaurant? I have. This bowl of protein oatmeal reminded me of it—something about the combination of cocoa, cinnamon, and protein ice cream. This recipe offers an interesting twist on the original, with a hint of chili that seems innocent enough at first but—BAM!—takes over your palette. 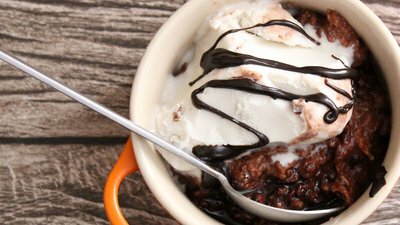 It's the perfect bowl of oatmeal for those of you who, like me, are serious about chocolate and spice!